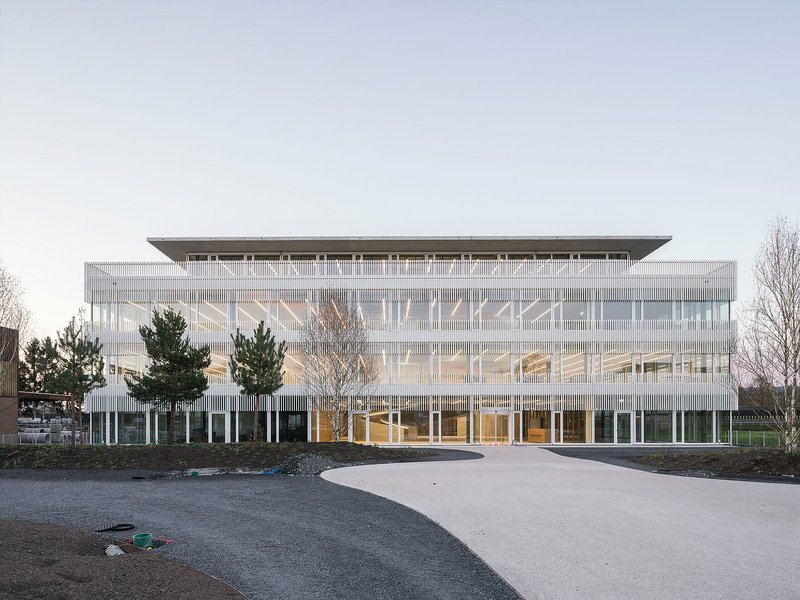 At the heart of the new Hapimag headquarters in Steinhausen near Zug – a rational and flexible office grid – is an elliptical spiral staircase that connects all three storeys both spatially and emotionally. This exposed concrete promenade, illuminated by a large skylight, brings movement and air into the daily office routine. Individual offices are a thing of the past; workstations are instead freely and flexibly arranged around the off-centre ramp, with only the glazed conference rooms and two emergency staircases with lift and toilets structuring the floor plan. The two identical upper floors are crowned by an attic storey with a balcony extending all round and are accessed through a spacious foyer with fine oak panelling. 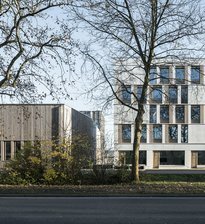 In its bland suburban setting, the new headquarters building stands out as a refreshing exception to the rule. 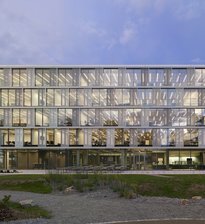 The glass façade is divided by vertical white battens, which provide both glare protection and elegant zoning. The compact yet lightweight structure is located in the northern part of the plot, with the motorway rushing past behind. This leaves room for a sunny and noise-protected outdoor space in the south – or later another building.